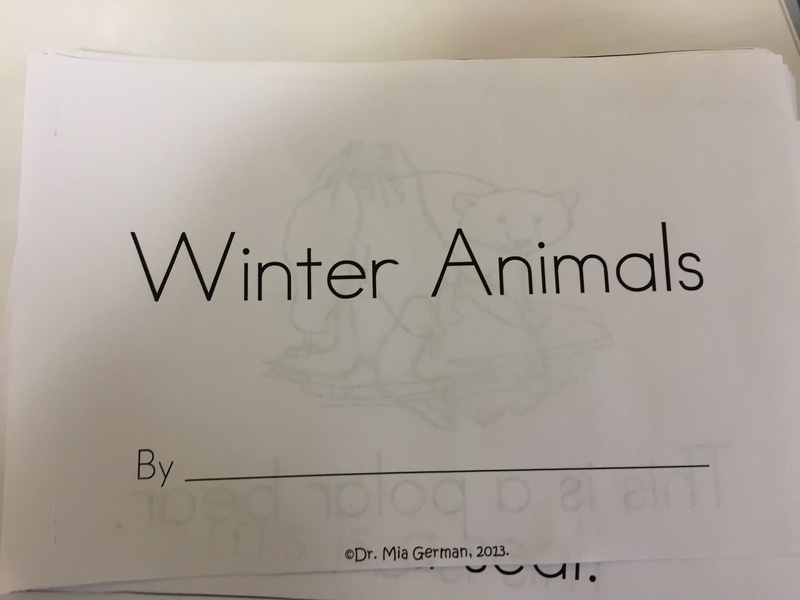 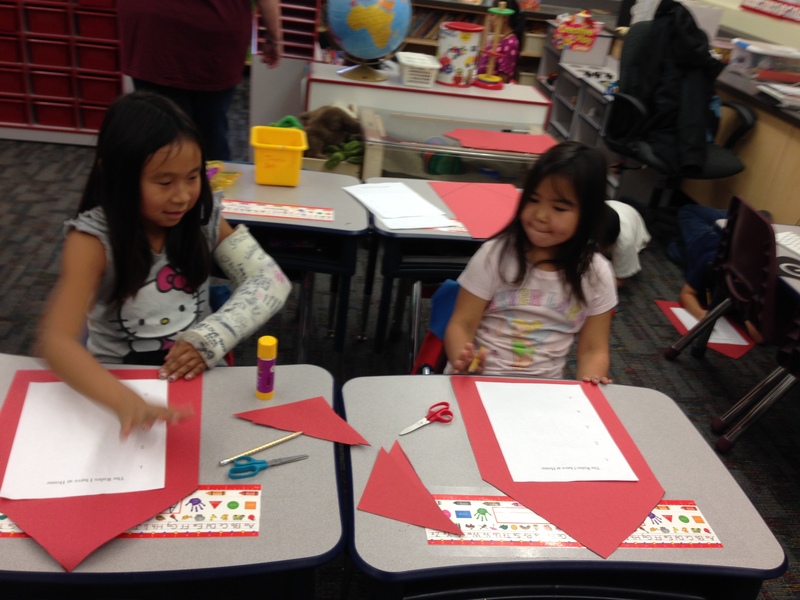 Last week had our unit on cold weather animals or winter animals. 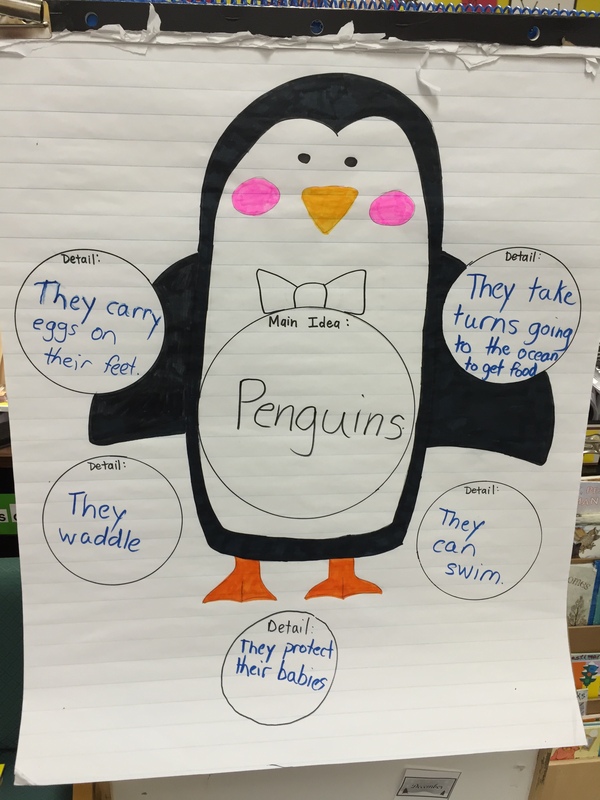 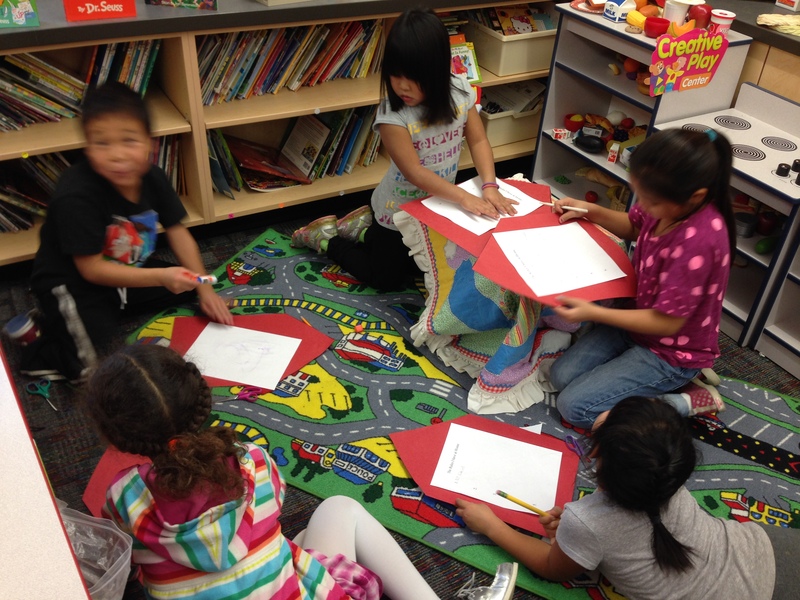 We read an interactive story called “Penguin, Penguin” and labeled main ideas and details on a thinking map. 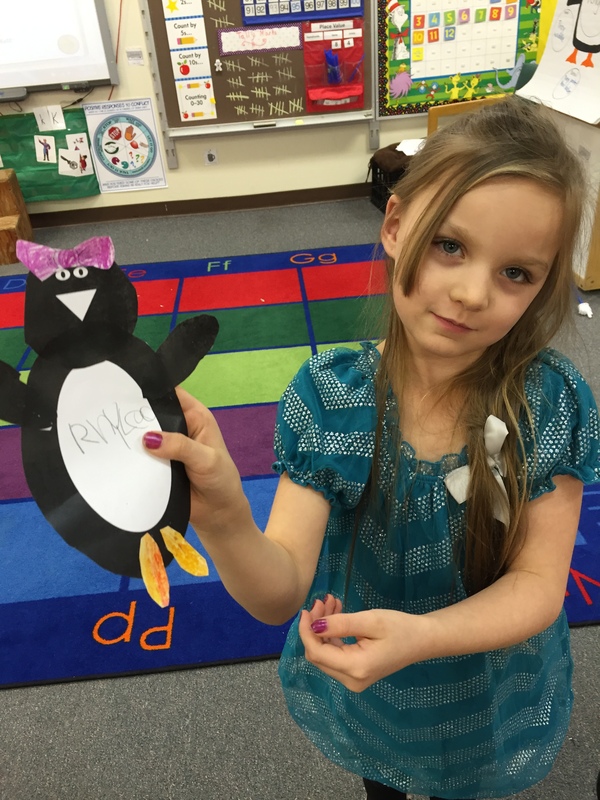 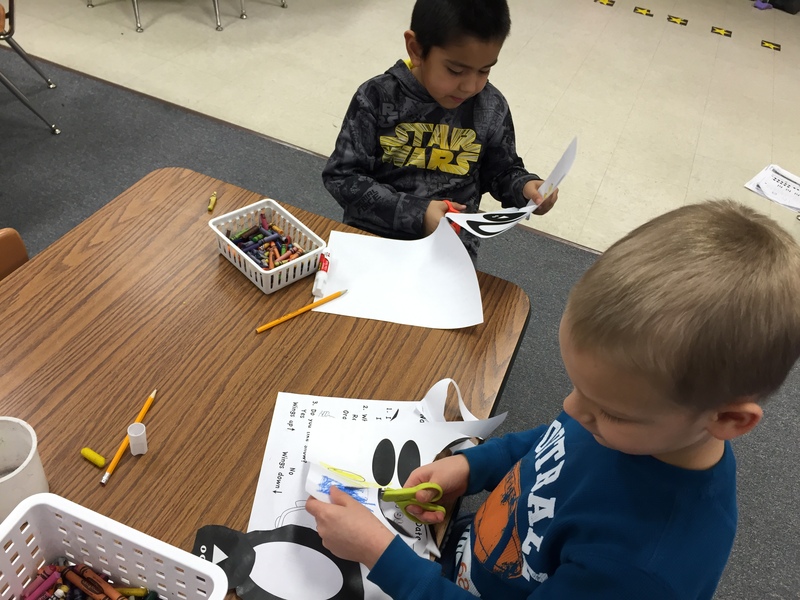 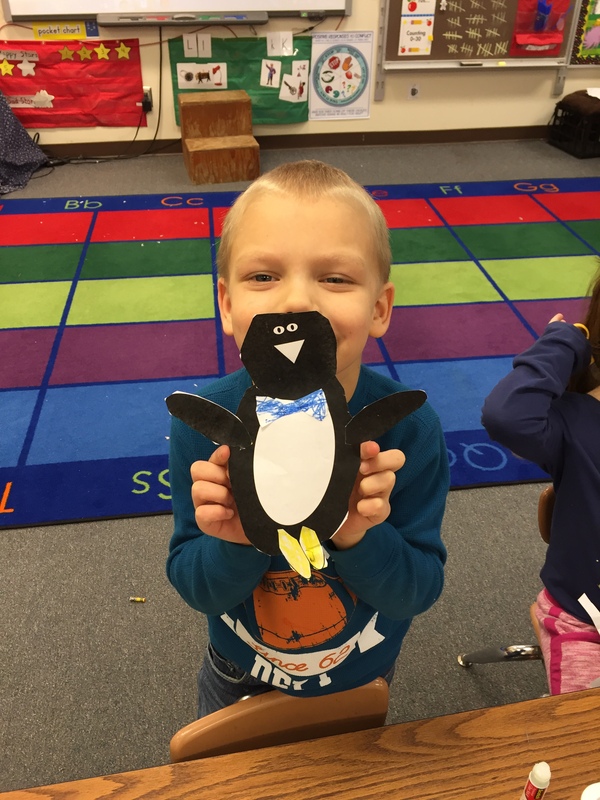 Finally students made penguin glyphs based on their preferences about winter. 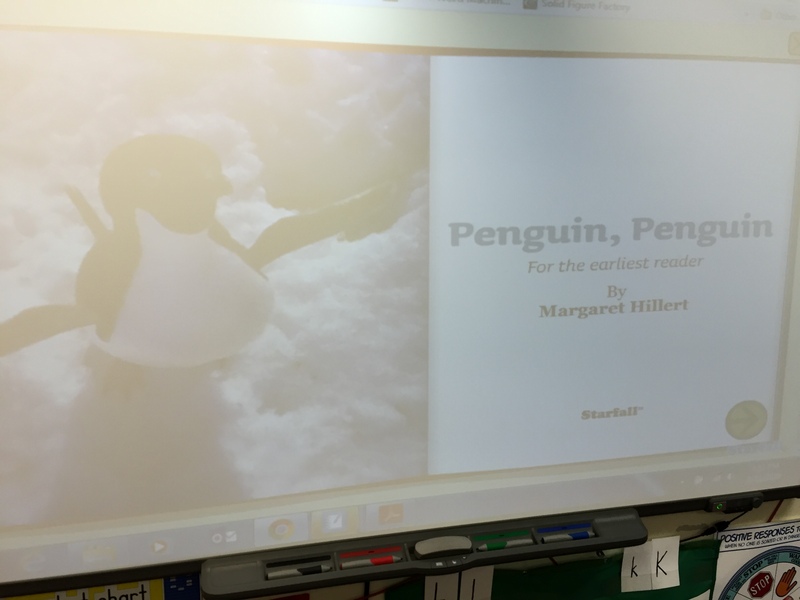 We also read nonfiction books about winter animals and got into partner groups and practiced reading easy reader books about winter animals. 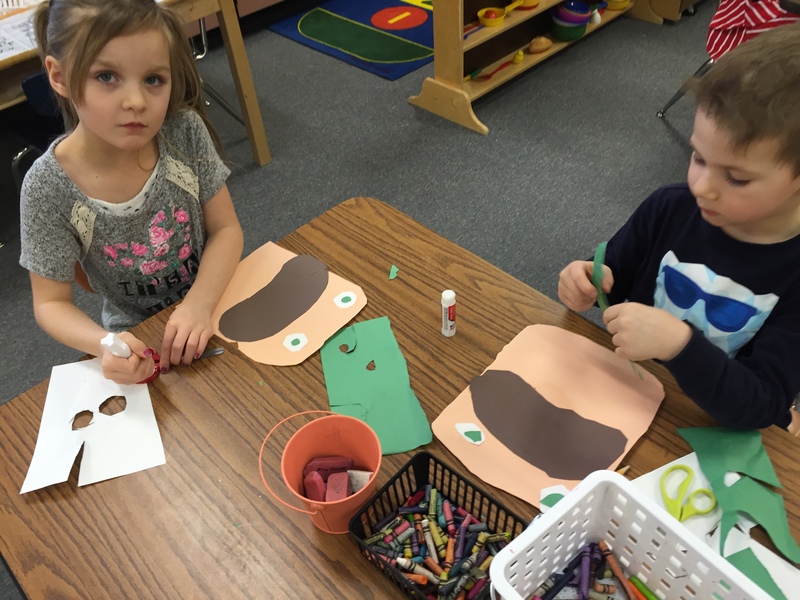 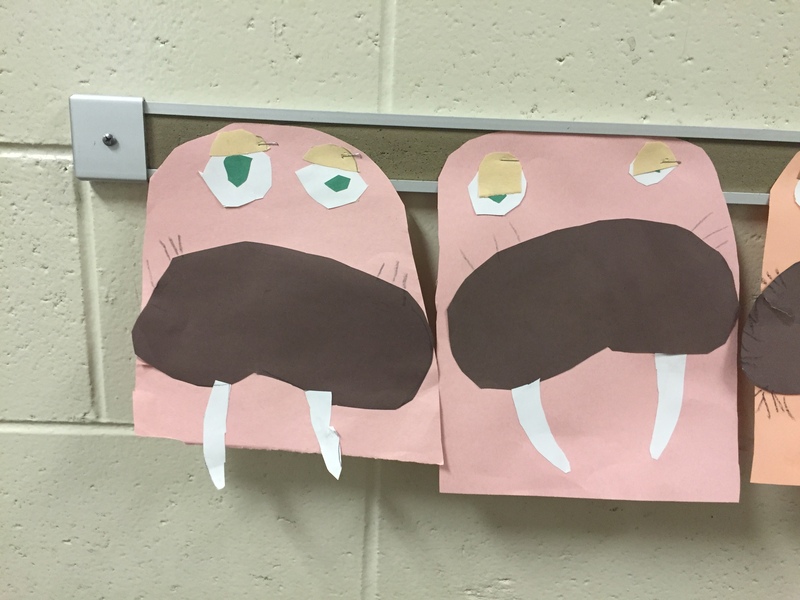 Finally we practiced following directions and made TLC art walrus. 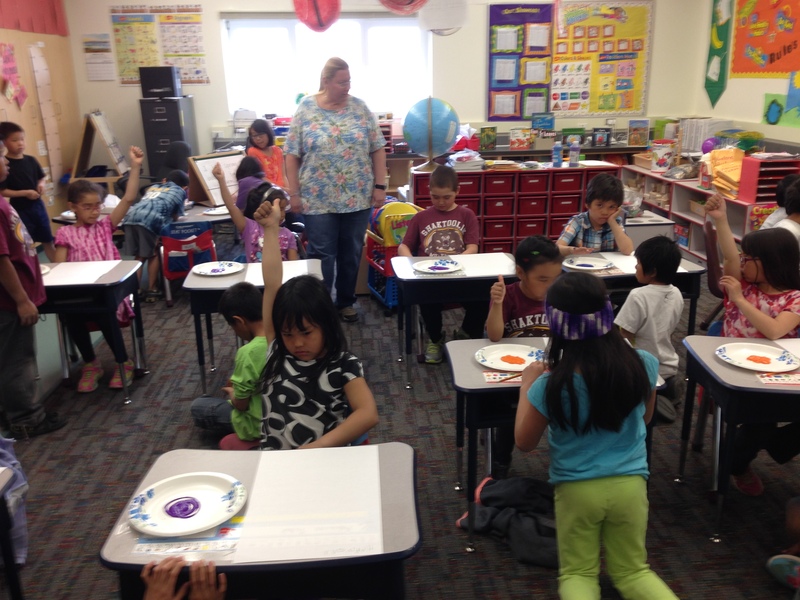 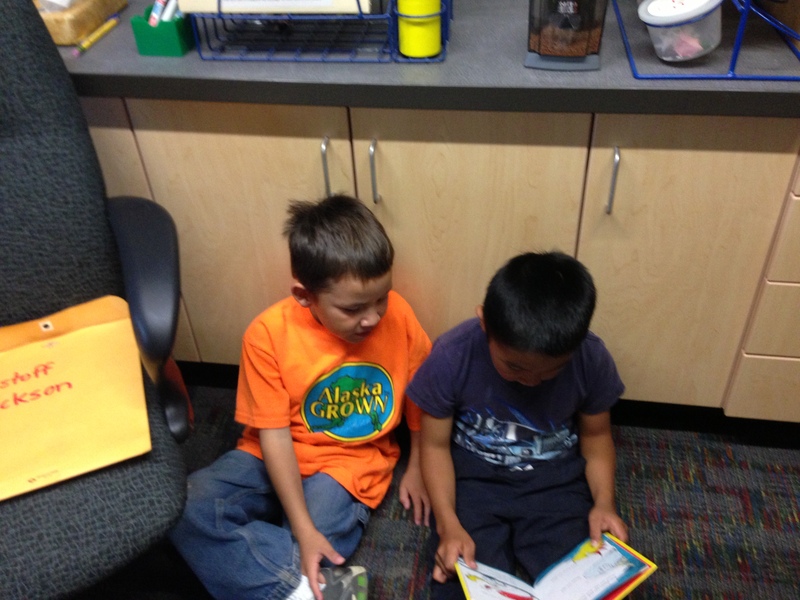 Last week we celebrated our last reading buddies. 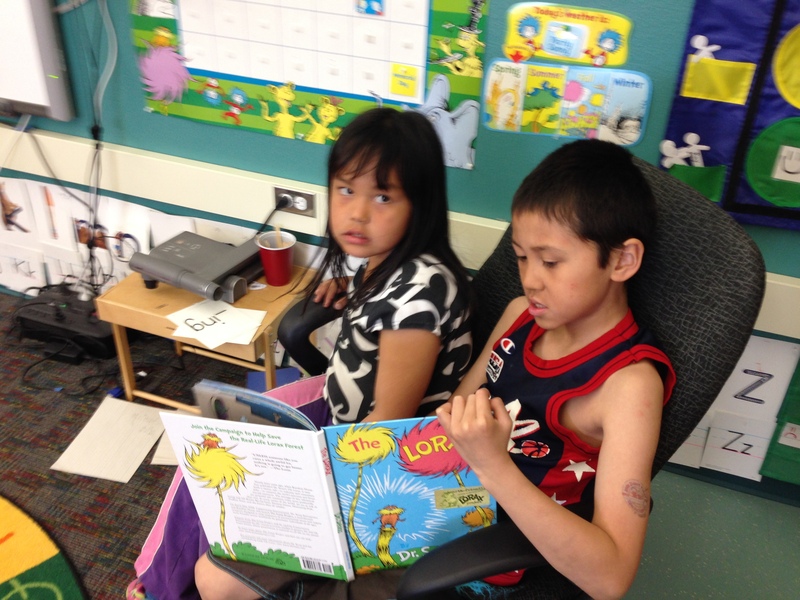 Since we had a year long of Dr. Seuss we had our last reading buddies with our K/1 class reading our Dr. Seuss books to the 2/3 graders to show how far we’ve come over this year! 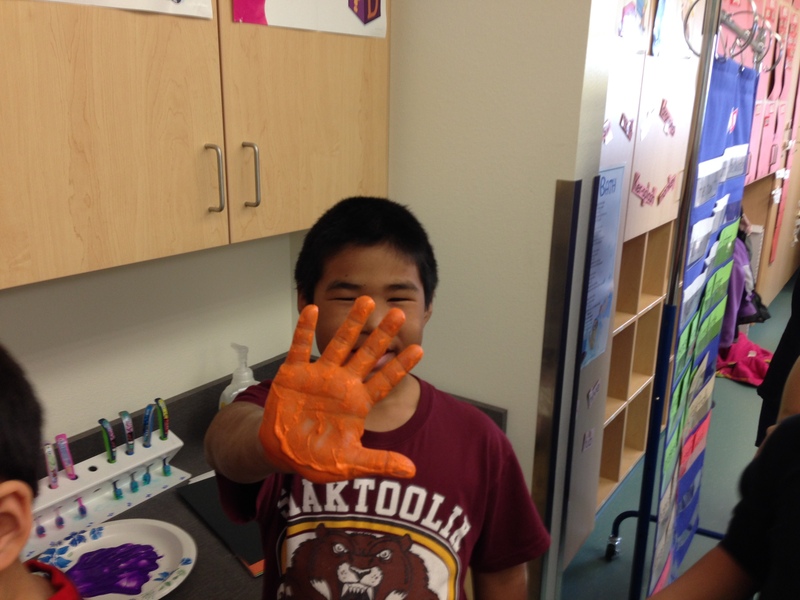 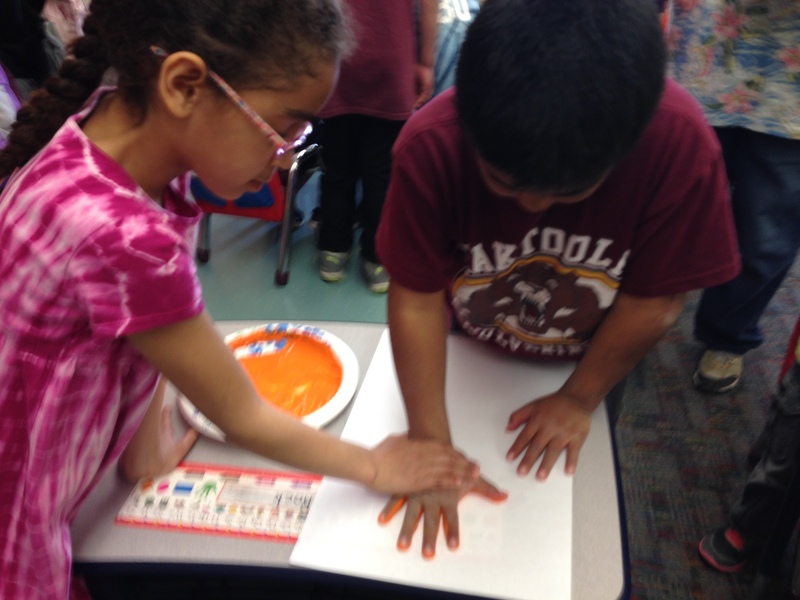 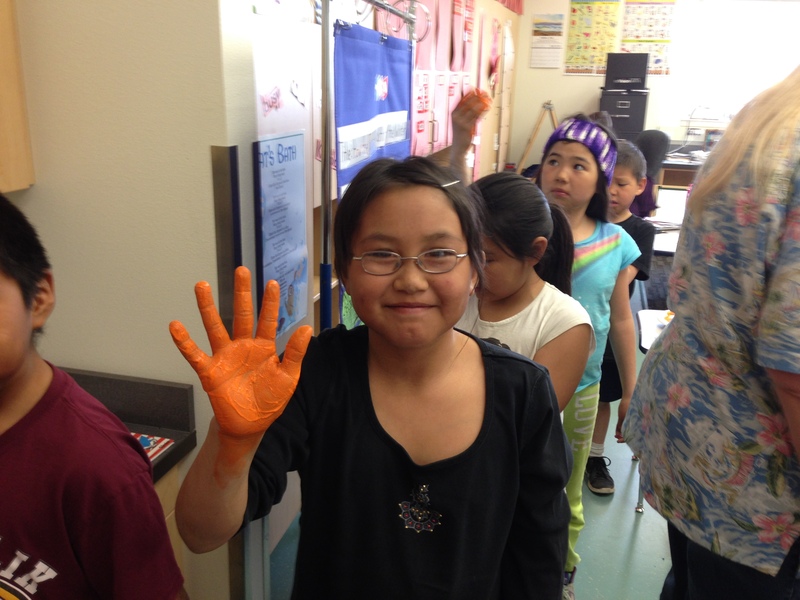 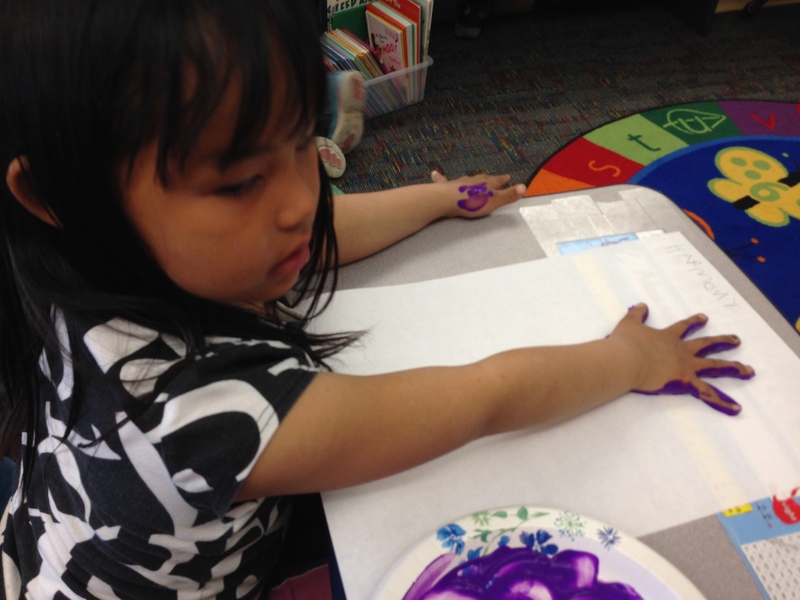 Also as one last art activity both K/1 and 2/3 classes made hand prints with tempera to show their mother’s how small their hands used to be when they were little. 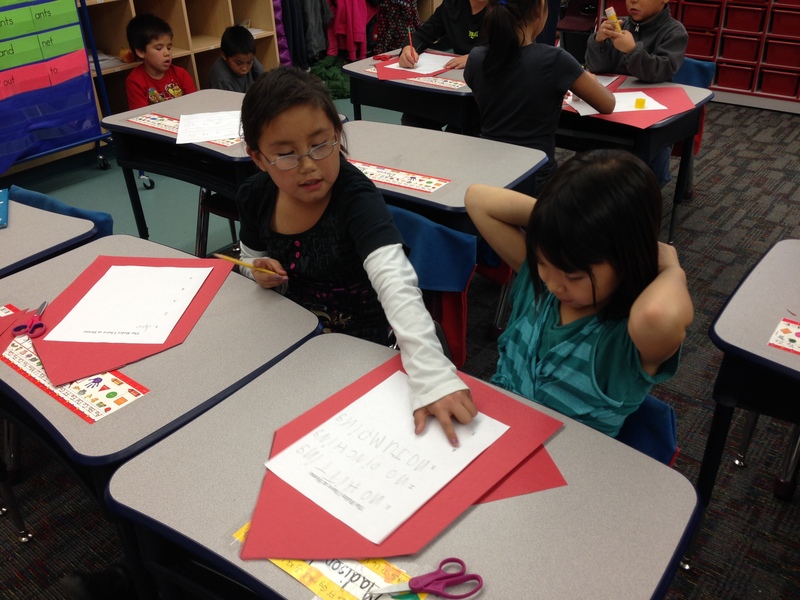 The students also wrote a little thank-you note to their moms, thanking them for being their mom! 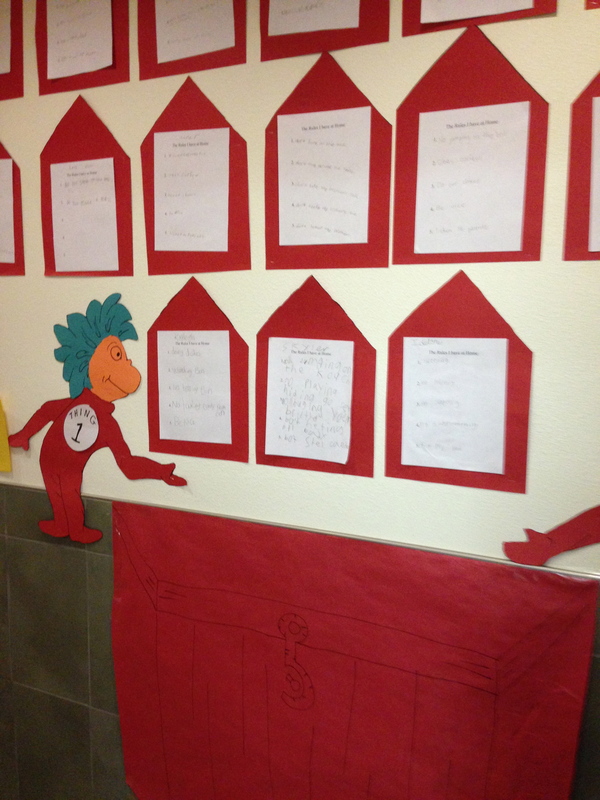 As a whole group we read The Cat in the Hat as part of our year long Dr. Seuss unit that we are doing with the 2nd and 3rd graders. 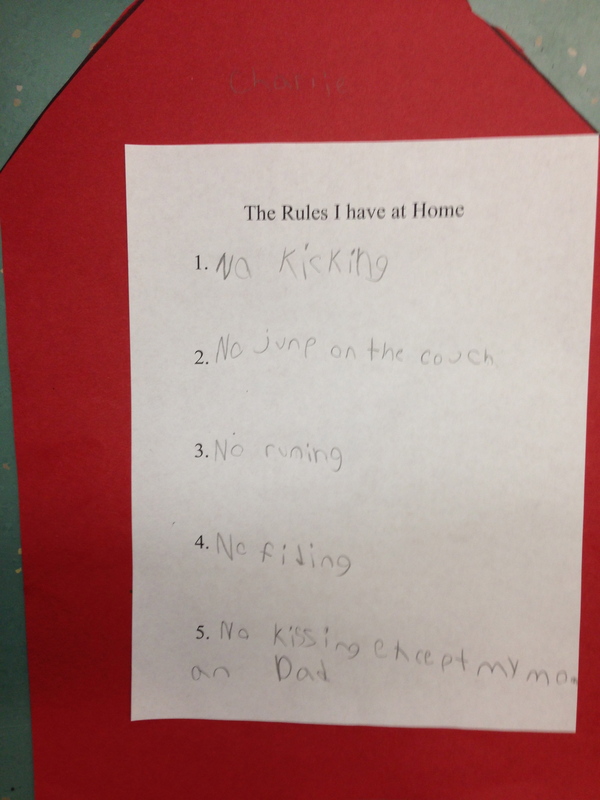 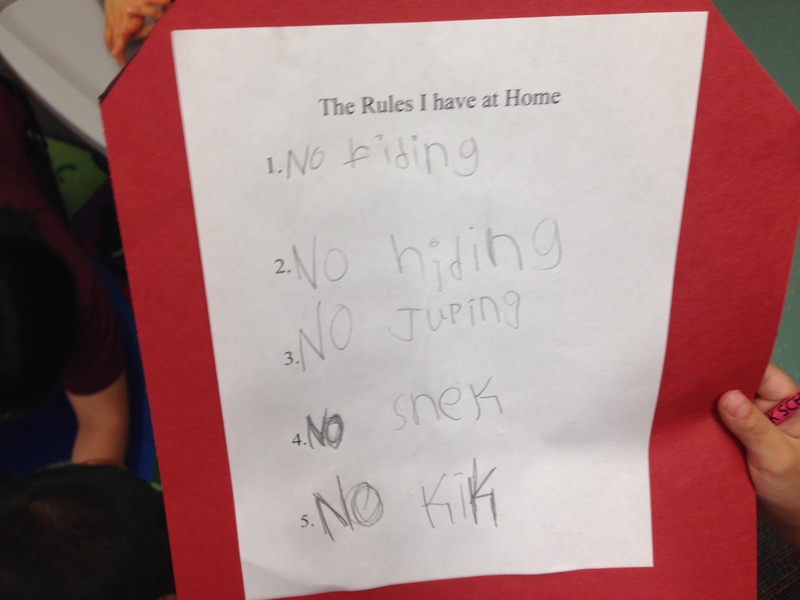 As a whole group we discussed the rules that were broken in the book and how the kids weren’t supposed to have visitors while mom is out of the house. 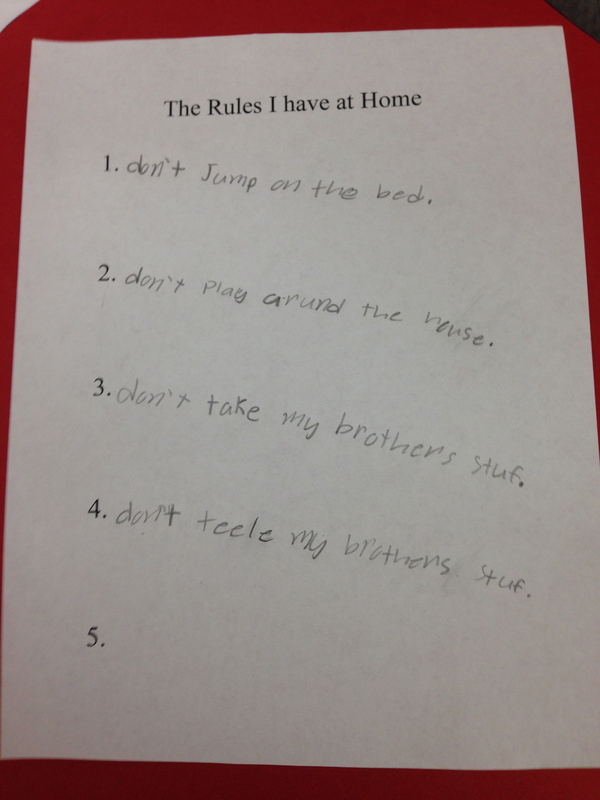 We then broke up into our reading buddy groups and the students shared with each other rules they have at their house. 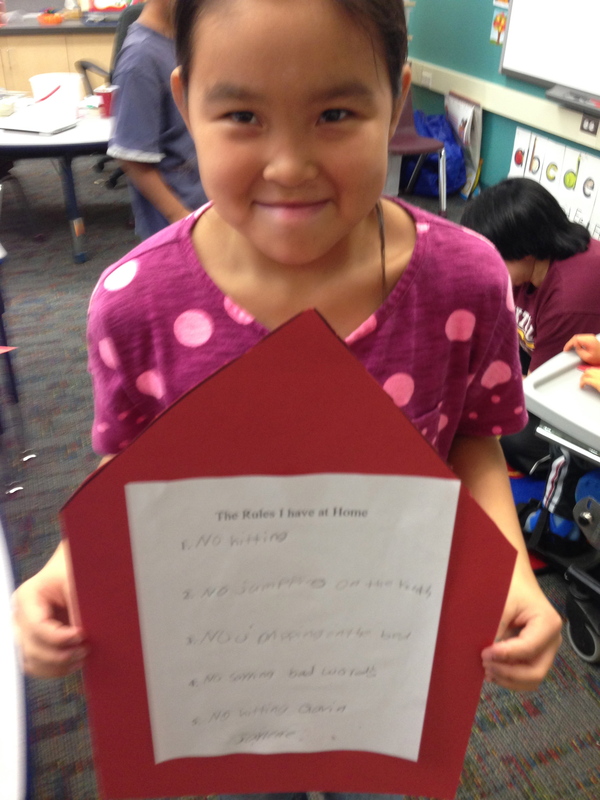 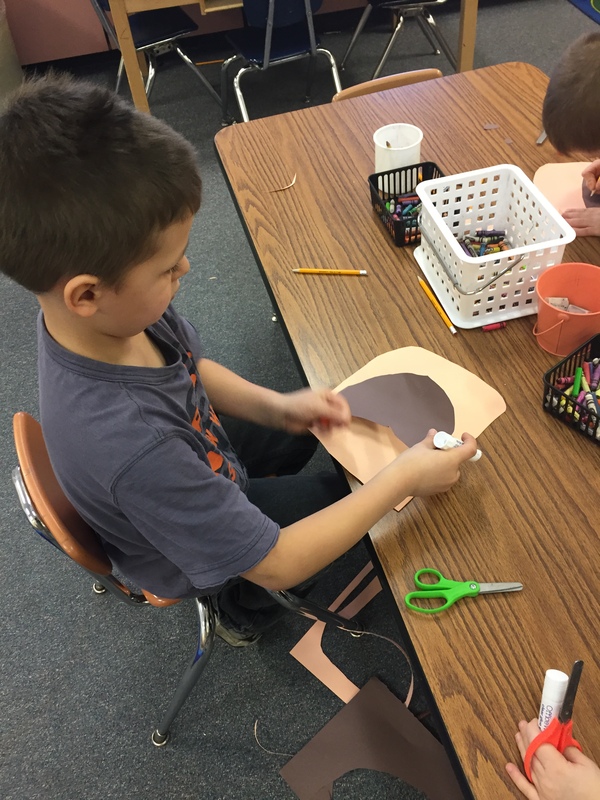 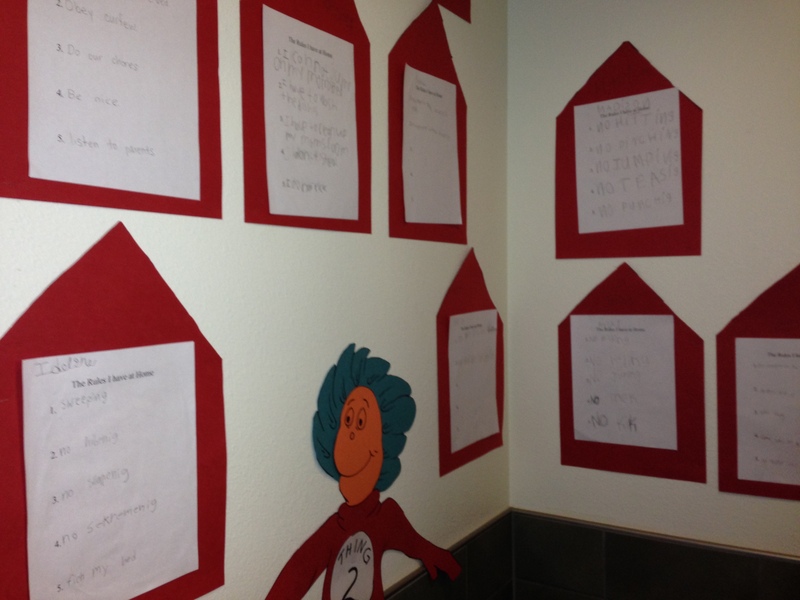 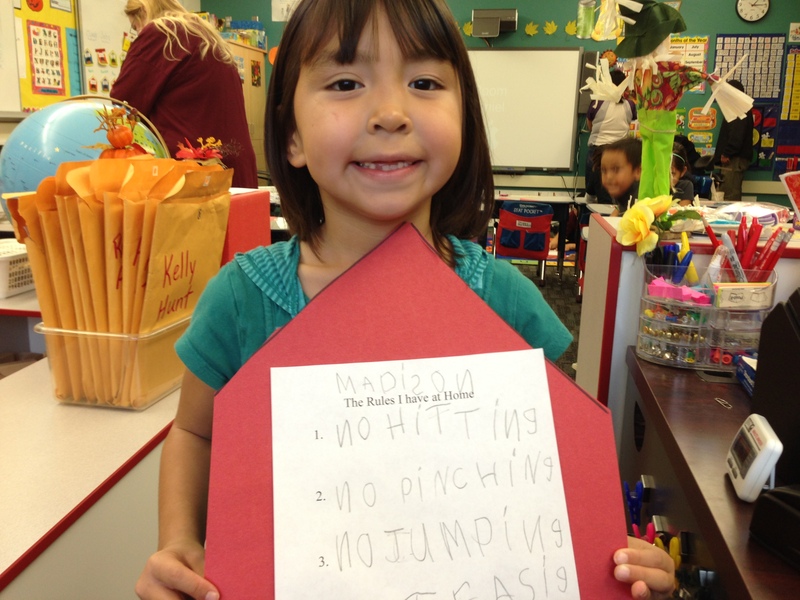 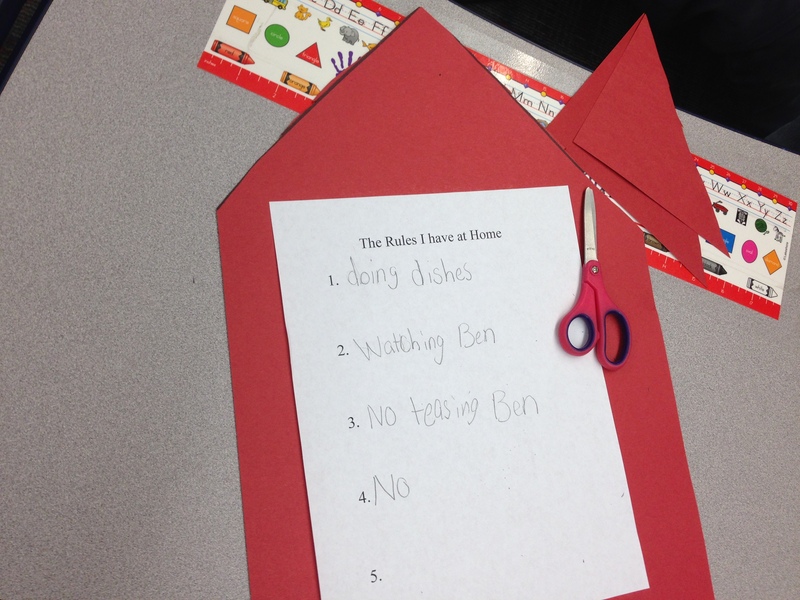 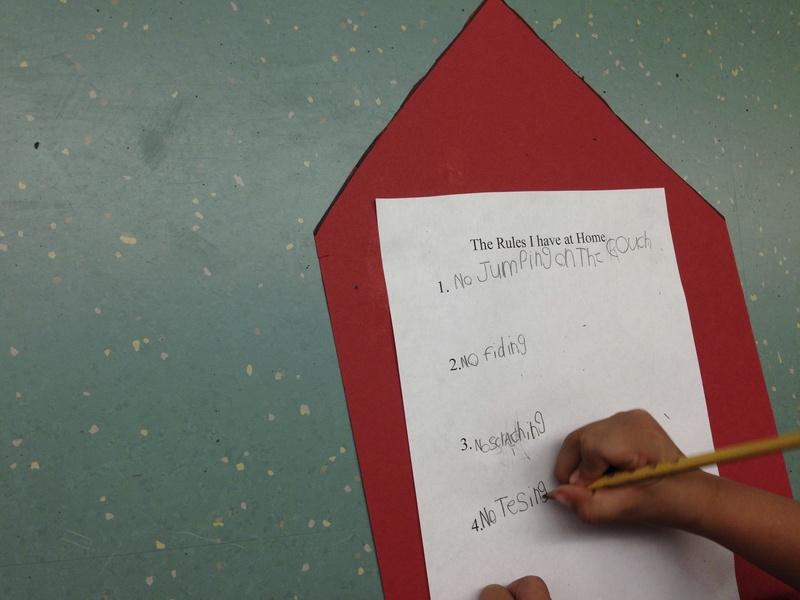 Then the students made their own houses out of construction paper and wrote a list of rules that moms and dads have at their house. 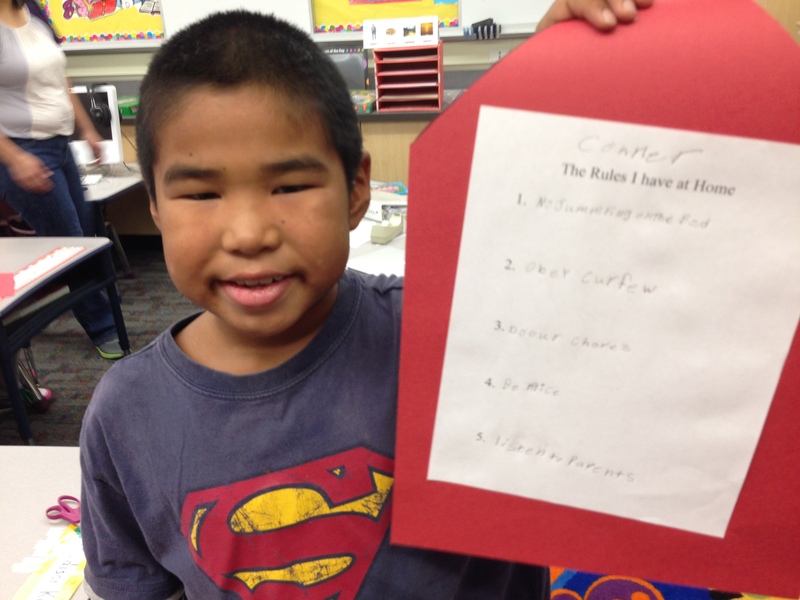 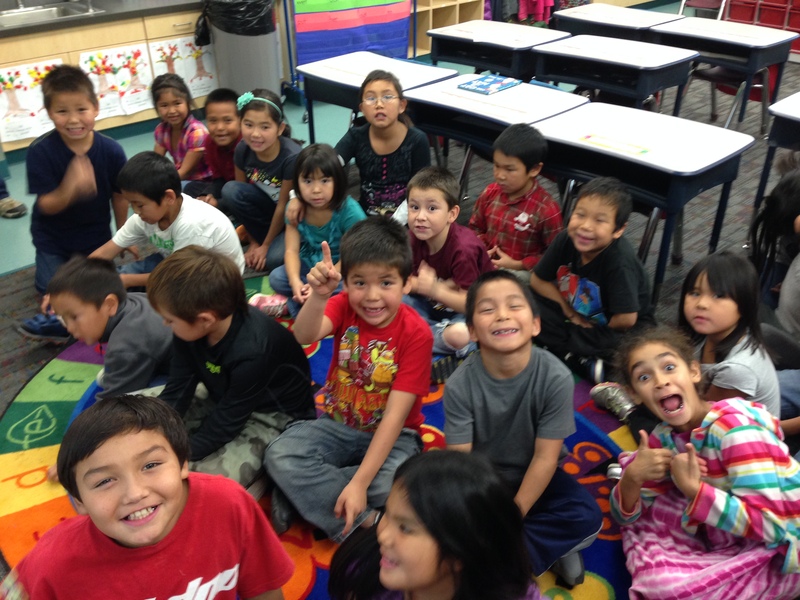 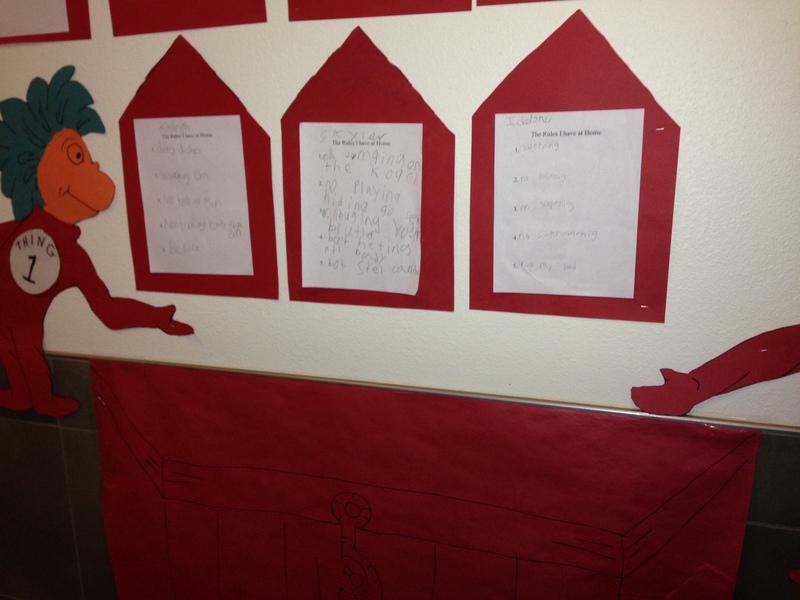 For the new year we have been collaborating with the 2/3rd grade on our Dr. Seuss year long unit. 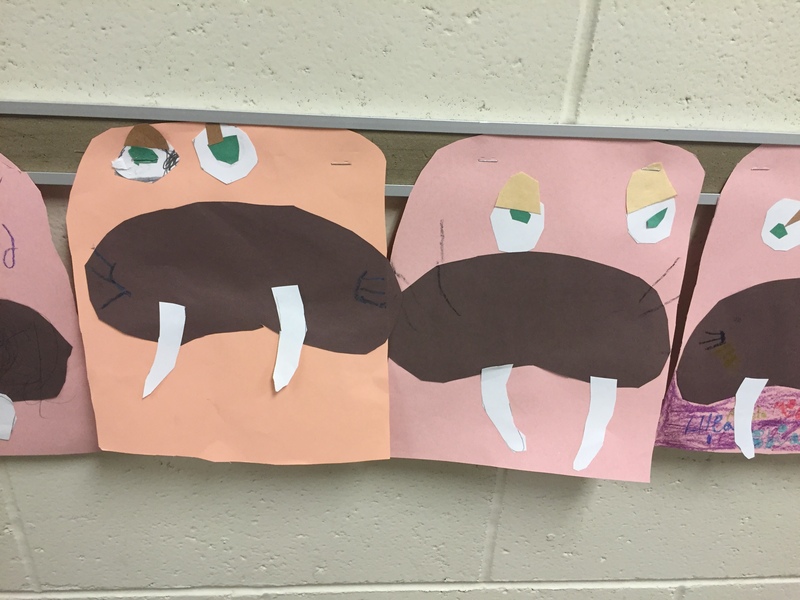 As part of this team effort, the 2nd and 3rd graders have been showing the Kindergartners and 1st graders how much they can grow as readers in two years. 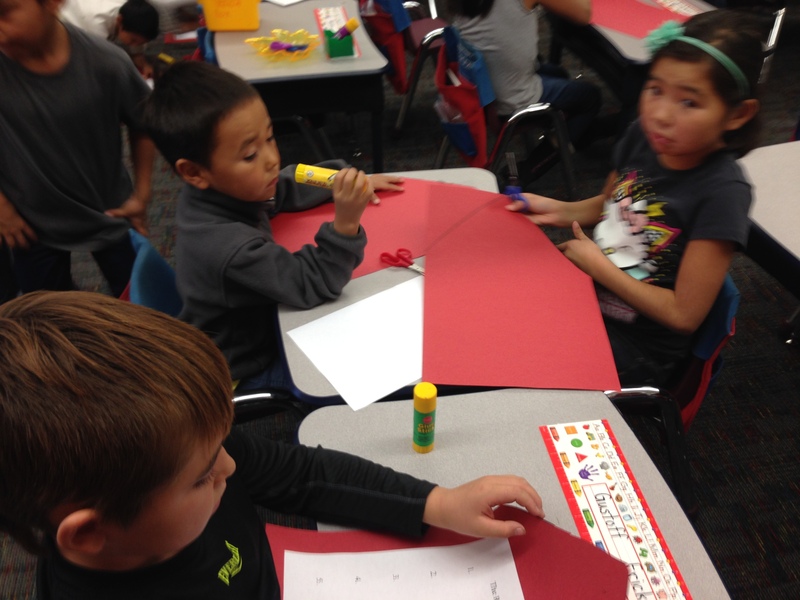 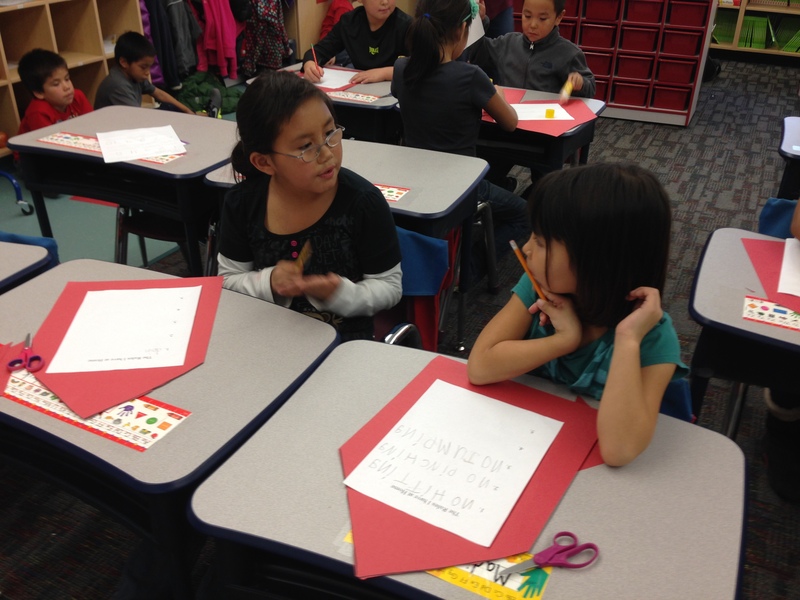 A student from K/1 is paired up with another students in 2 / 3. 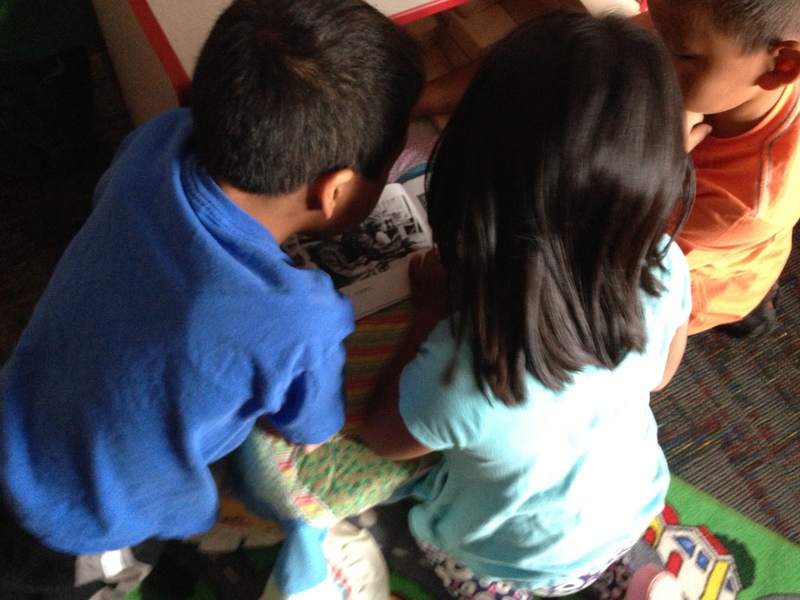 The older students read their books to the younger students and ask them what the main idea of the story is. 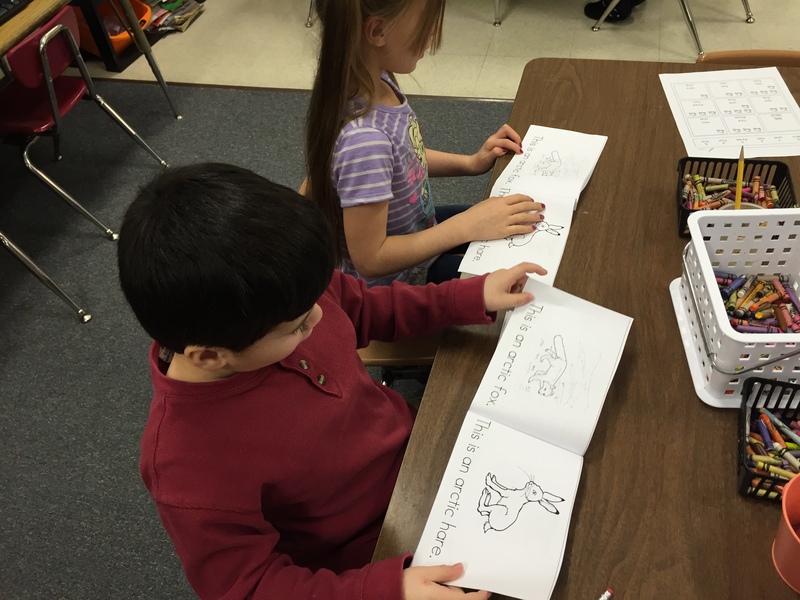 The K / 1 students read their guided reading books from their collections to the older students and ask them comprehension questions. 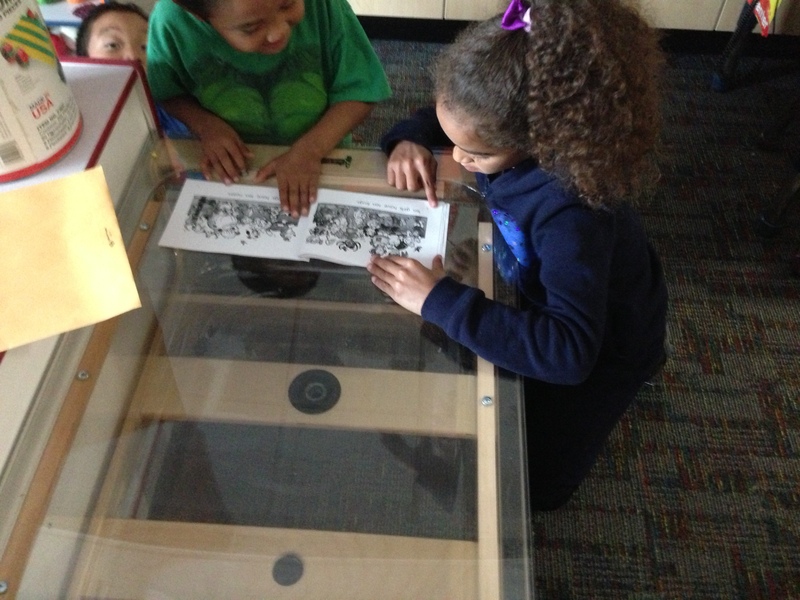 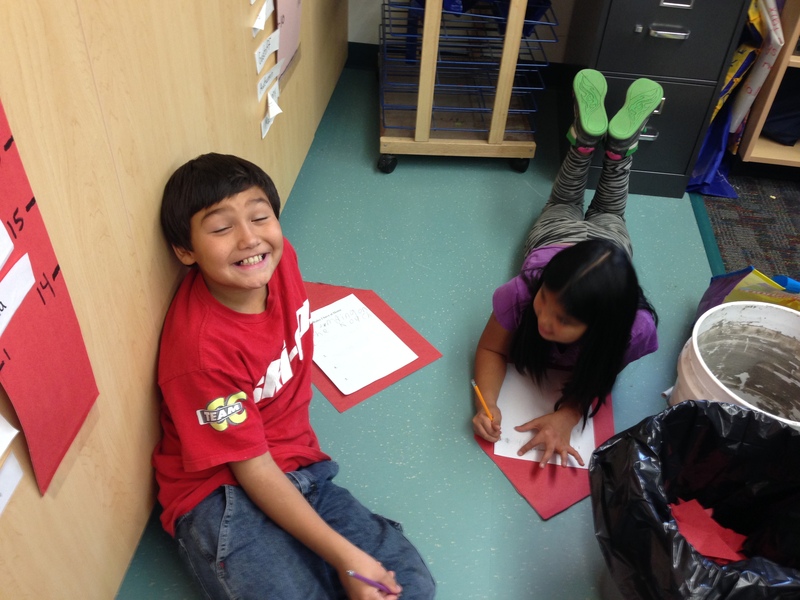 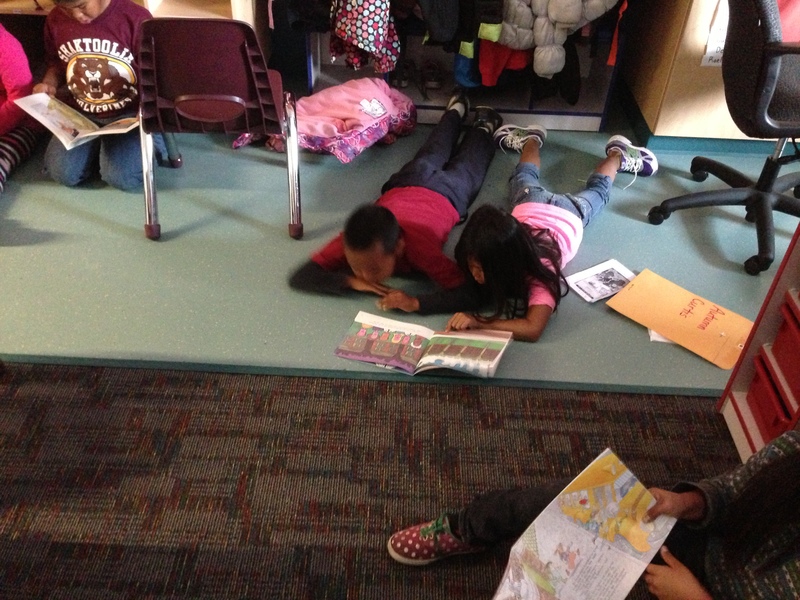 Reading Buddies is such an excellent way for older students to be role-models for the younger students. 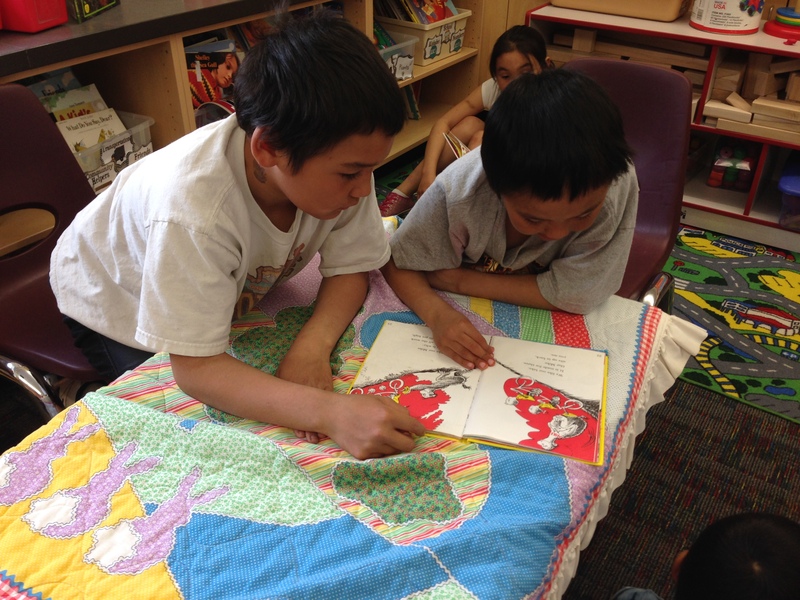 Reading Buddies is also perfect for the younger students to gain self-esteem in their reading. 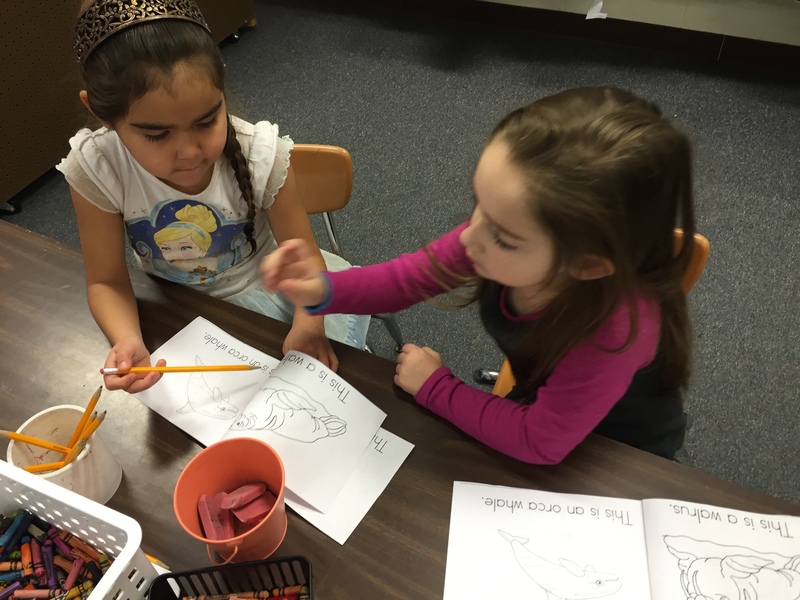 They are allowed to pick from books they are familiar with and have been reading in reading workshop and can show their peers how much they’ve learned so far!